Hello! My name is Sharon. 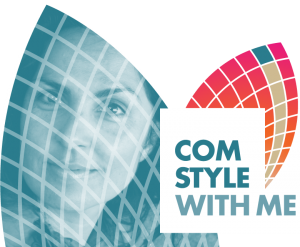 COMSTYLE is my opportunity to provide your regional business with affordable and flexible access to an experienced graphic designer and visual communicator. More tourists = more dollars | Consider the following figures, taken from Tourism Research Australia. How much of this trade did your business enjoy? And, for every tourism dollar, over 43 cents was spent in our regions. Why focus on words and images? A strong regional-visual language attracts tourism | Words and images are front and centre in all things tourism. Why? Tourists are excited by the look and feel of pristine natural environments, fresh local food and drink, and unique local activities. Let’s get regional | The words and images we use to promote our businesses must also promote our region because that’s what tourists are interested in. We must become ambassadors for our region. A regional-centred plan | The plan is to introduce regional businesses to ‘My Regionality’ – a hands-on words and image design workshop to help you visualise your regional business for tourists.